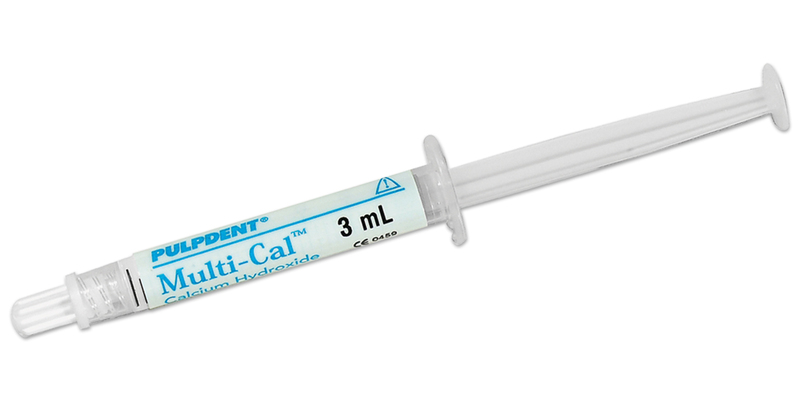 All purpose, non-setting, calcium hydroxide paste. For temporary root canal therapy, direct and indirect pulp capping, pulpal curettage, and cavity lining. Bactericidal with a pH >12. Radiopaque. Contains: 4 x 1.2ml syringes, 8 applicator tips. Contains: 20 x 22ga blue pre-bent applicator tips.